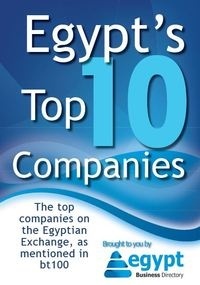 This decision comes in light of some changes Morsi has been undertaking in the policies of the Central Bank of Egypt. According to CNN Arabia, Egyptian President Mohamed Morsi issued a decree on Tuesday, preventing any traveler to carry more than $10,000 into or out of Egypt. Additionally, no foreign currency is allowed to be sent via the postal service. These decisions come in light of some changes Morsi has been undertaking in the policies of the Central Bank of Egypt and the banking system in general. The Vice President of the Egyptian Finance Association Mohsen Adel explained to the National Egyptian TV Channel that these decisions were a reaction to the endless amounts of foreign currency that have been carried back and forth between Egypt and other countries without direct justification or necessity. “This was very suspicious and it is necessary to put some limits and precision to the liquid money that is leaving Egypt. Yet, this has nothing to do with the rise of the dollar,” Adel explained. Debates have been taking place about the Egyptian President granting himself more powers in terms of adjusting the banking system of the Central Bank of Egypt and whether this would be a positive step or not. However, Adel assures that the recent decree carries several advantages for Egypt, as long as the political system in Egypt remains stable.